The compressed dextrose candy has long been a staple item of childhood candy diets. Never heard of it? 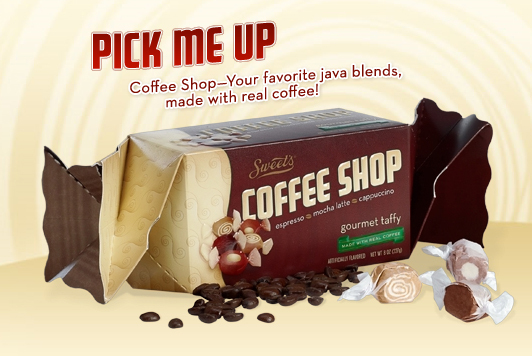 You probably know it better as SweeTarts, Runts, and dozens more â€“ that hard, yet powdery, melt-in-your mouth candy with the tangy flavor and slight cooling effect. With Pucker Pieces Gourmet Candy Tarts, Creative Concepts Inc. (best known for its Pucker Powder powdered candy dispensers) seems to be trying to do for the compressed dextrose candy what Jelly Belly did for the jelly bean: use unique flavors and creative marketing to â€œgourmet-ifyâ€ it, transforming it into something that will appeal to adults as well as kids. 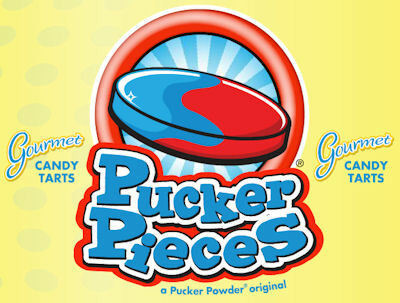 Like Jelly Bellies, Pucker Pieces are displayed in bulk dispensers, allowing for the creation of custom flavor mixes. If you know how compressed dextrose candies are made, it seems like a total no-brainer for a company that specializes in a powdered dextrose candy like Pucker Powder to move to hard tabs: just like the name implies, a powder made from dextrose (a type of sugar) and other ingredients is pressed into molds at super-high pressure, forming it into hard, yet still powdery, candy treats. (Pills are made the same way.) It seems like it would be a very simple matter to press straight-up Pucker Powder (or something very similar) into a more portable, less messy version of Creative Conceptsâ€™ flagship product. Since joining the Candy Addict staff, I have found my usual proclivities for candy changing. One such change has been an added addiction to lollipops. I typically find myself inundated with so many candies that itâ€™s nice to retreat to a lollipop, a candy that is small, filling, and pleasant if only for the fact that your hands can’t get sticky or gooey from consuming it. At the All Candy Expo, there was an assortment of lollipops to sample, but one piqued my interest more than any other: the new Banana Tootsie Pop. 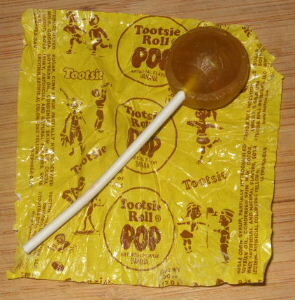 I have long been a fan of Tootsie Pops, and banana seemed like a great flavor. I mean, who doesnâ€™t like chocolate/mockolate and banana together? So I grabbed a handful of the suckers each of the three days knowing that not only I, but also many of my friends would be delighted to see what the folks at Tootsie had whipped up for us. Iâ€™ve been jonesing for something gummi for a while now. But I found myself unwilling to satisfy my cravings with something I had already consumed. I wanted something familiar, but new. Such a specific guideline for candy purchase can be difficult, but it didnâ€™t take me long to spot a promising candidate in the candy aisle of my local H.E.B: Trolli Tropic-Os. 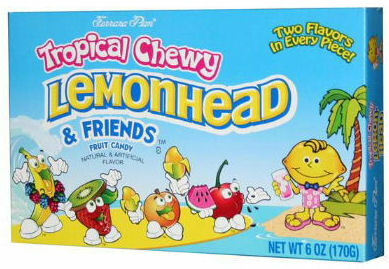 I am familiar with all the various flavors of these ring-shaped candies, i.e., peach, apple, watermelon, etcâ€¦ but I hadnâ€™t ever tried this tropical variety. 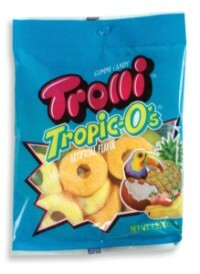 The bag didnâ€™t reveal which flavor the rings were, but there was an image of a toucan perching on some pineapple, strawberries, coconut, and bananas, so I assumed that the flavors in the bag were going to be matches for those fruits.